Whether you’re a novice boxing athlete in the gym or a professional MMA fighter in the octagon, having the best headgear for training can make all the difference. In my experience, the best piece of training equipment you can possibly own, besides your boxing gloves and mouth guard, is a good, solid piece of headgear. Now, let’s get this out of the way right off the bat; yes, in most cases, you can’t wear your headgear in an actual bout. This doesn’t mean that you should buy low-quality headgear, or even worse, refuse to use it in training altogether. Even though you can’t wear it in a match, good headgear not only makes movement easy and natural, but also keeps you from getting injured during long sparring matches. In useful training, you’re going to get knocked in the head a few times. Without a good piece of headgear, you get injured. You get injured, you can’t train. You can’t train, you don’t get better. You owe it to yourself to buy good headgear, if for no other reason than to keep you practicing as long as you can. When I say “good headgear”, I know that can mean a lot of things for a lot of people. For me, the best headgear is light, sturdy, and built to last; with proper care, a good piece will last you a few years and save you a few concussions. Unfortunately, with MMA’s rising popularity, a lot of companies have decided to cash in and produce low-quality headgear. In an effort to make sure you get the best pieces for the best prices, I’ve put together a list of the top ten pieces of MMA headgear, chosen by online reviews and testimonials. I’ll break down the good parts and the bad parts and let you judge for yourself. 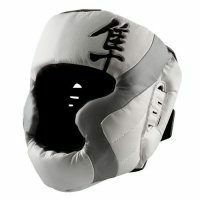 A little pricier than most, Hayabusa Tokushu may not be your first piece of headgear, but if the reviews are to be believed, you’ll find everything to your liking. With a full-face design and solid double straps on the back, this piece is going to stay exactly where you strap it for as long as your match goes on, and good visibility and a light weight means you might just forget you’re wearing it. If you’re willing to pay the extra money, you’ll find that the Hayabusa Tokushu series is worth it. 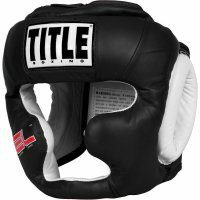 A solid contender from a long-standing company, Title Boxing’s Platinum Headgear is well-made, well-cushioned, and easy to adjust. The all-leather construction means that a good portion of the force gets deflected on the surface, instead of a softer material that would transfer all the impact right through. 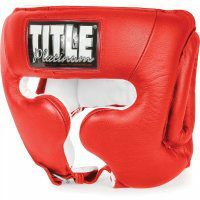 Unfortunately, the Platinum Training series isn’t ABA approved, meaning you would need another piece of headgear for strictly boxing tournaments, and the number one complaint is that it tends to shift around on your face after a good hook. 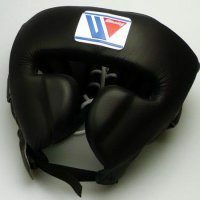 You might need to re-adjust yourself mid-bout a time or two, but this headgear will definitely do its job. Light, sturdy, and wholly reliable, the Title Gel training headgear uses a combination of foam and a patented gel to reduce impact. 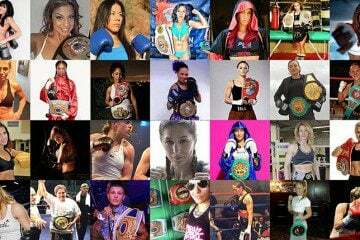 All of these combine to make a piece of headgear that weighs just around ten ounces and, unlike Title’s Platinum training headgear, can be worn in ABA matches. Where the Gel headgear falls short, however, is in the same vein as the previous model; it slides around on your head a bit, and it offers virtually no protection against a straight punch to the nose. If other headgear is just too heavy for you, the Title Gel model is exactly what you’re looking for. Three S’s put the Top Ten Avantgarde Headgear into my… well, top ten: Simple, Sturdy, and Single Piece. Simple, a two strap design with one in the front and another in the back keeps the headgear right where it needs to be on your head. Sturdy, a headgear made entirely out of “Bayflex”, a patented material that reduces shock better than foam. Finally, the whole thing is made of a Single Piece of material, so you don’t have to worry about it ripping or tearing along a seam. The only real downsides to this headgear are the Velcro straps; however strong they may be, it may not hold to your head as tightly as you might like, particularly if you don’t get the exact right size. Nevertheless, there is a reason that the Avantgarde is a boxing standard, and a reason you should consider buying one. 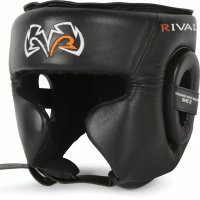 A robust piece of headgear that’s also very affordable, Rival’s Traditional Training Headgear is a nice improvement over any generic boxing pieces. All-leather construction, a hook-and-loop chin strap, and a suede interior means that not only will it resist and redirect a lot of force, but the interior cushioning can take care of the rest. 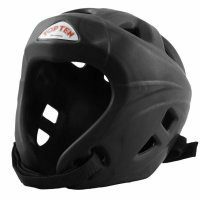 You might not be able to adjust your chin buckle with boxing gloves on, but at seventy dollars, this headgear is incredibly affordable and tough enough to last you for a few good years. Easily the best protection you can buy, the Ringside Master’s Competition Headgear is a great piece for hard-punching opponents. With a nice thick layer of padding that even extends to the nose (a rare trait for boxing headgear), you can take shots to the head all day and keep coming back for more. Unfortunately, this kind of protection is a bit conditional. If you’re a brawler, this is the best piece you’ll ever own; if you like to work more conservatively, the limited peripheral vision could become a disadvantage. That being said, the Ringside Master’s Competition Headgear is still A-OK for the longest, toughest training you can put yourself through. Designed to be padded only where you need it, Rival’s Intelli-Shock Pro has all of your major bases covered. All-leather exterior, all-suede interior, metal buckles for a chin strap, and improved peripheral vision means that it stays on, protects you where you need it, and doesn’t slide around afterward. It’s a costly piece of equipment (at least $130, and as much as $170), which may keep it out of the range of new MMA fighters. Should you decide to spend the extra money, however, you’ll wonder how you ever trained without this headgear. 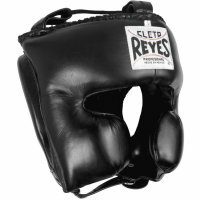 The absolute best protection for straight punches you can get without a nose-bar, the Cleto Reyes Cleto Reyes plays off like a hit album. 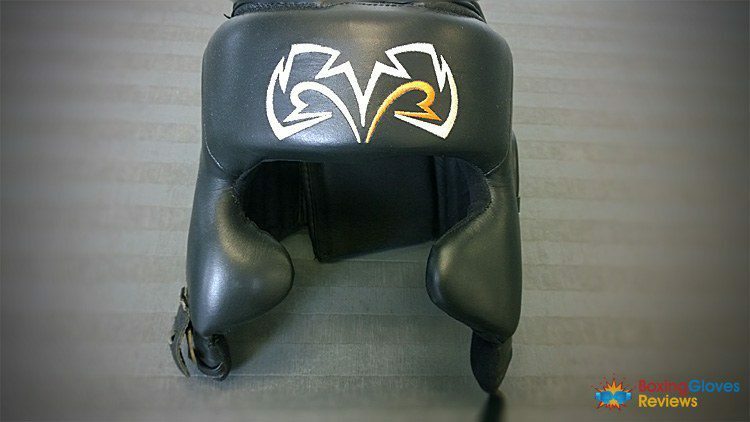 All-leather, traditionally crafted, and reinforced cheek guards (a hallmark of Mexican-style headgear), combined with a great sense of peripheral vision. Traditional, tough, and fairly good looking for headgear, Cleto Reyes may just be the first, last, and only piece of headgear you’ll ever need. Where do I begin with the Winning FG-5000? It covers everything you need in a piece of headgear. A nose-bar across the front, super wide face holes for excellent peripheral vision, and some of the best cushioning you can buy means this headgear will last as long as you will, but with its 15 ounce weight and sleek profile, won’t look or feel like it’s even there. I’m not going to lie; you’re looking at the most expensive headgear from my list, but it will stop absolutely everything you throw at it. Taking the best craftsmanship and the best materials and combining them with years upon years of trial and experience, the Winning FG-2900 is simply the best all-around headgear available today. It takes everything about the FG-5000, but replaces the nose-bar with Mexican style cheek guards that hold up nearly as well. At less than three hundred dollars, it’s steep, but this headgear is an absolutely perfect piece of training equipment, well worth saving up for. Have any experience with these pieces, or have your own top ten? Let us know in the comments section. I have a question. What do you think/know about the Reyes model with the nosebar? I personally don’t like any headgear that has the nosebar, as it really blocks my vision. Especially Cleto Reyes, their nosebar is really huge, so it not only blocks the vision, but also makes your head a bigger target, so you end up getting hit more than you normally would be getting if the nosebar wasn’t there. But It’s just me. I’m a small guy and like to move a lot, so I prefer compact, lightweight headgear that doesn’t restrict my movements. With that being said, CR with nosebar is good for a person who doesn’t move that much, as that headgear is really big, well padded and has a good protection. I’m a welterweight fighter, and I like to move around as well. But I broke my nose early in my boxing days so I need protection. Saw pacman spar with the winning model and it caught my interest, but it’s very expensive. So I’m looking for other alternatives? Thanks for the quick reply friend! Yes I’ve seen the video. Thanks a lot for taking your time with it. I will try the Reyes model. Good luck with everything & thanks again. Thanks Robin, don’t forget to tell us how you are liking those Reyes, once you try it. I use the Rival Traditional Training Headgear. Pros: Comfy, doesn’t absorb sweat so doesn’t smell, not much give in the padding so takes punches well. Cons: Has a metal buckle that you have to tape for every sparring session and keep an eye on so as not to tear the other guy’s gloves, doesn’t release heat so your head feels like it’s cooking. Thank you for your feedback Dave! Could you tell more about absorption of Cleto Reyes Headgear? 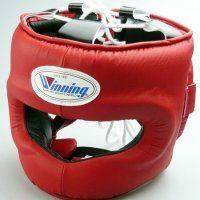 Yes, I read, that it is “The absolute best protection for straight punches”, but still want to know, if you could compare “punch feeling” with and without this particular headgear. And second question. 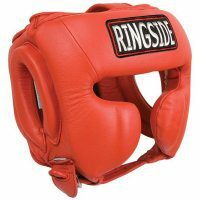 Does it protect from straight punches more than Winning FG 2900 in your option/experience? Hey Sergey, thanks for your comment. 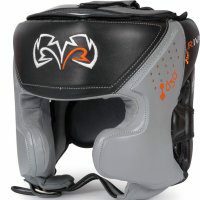 We’ve just published a headgear guide on MMA Gear Addict https://mmagearaddict.com/guides/headgear-buying/. Please feel free to post any questions you have related to the headgear in the comment section below the article. Thanks! Hi, can you please confirm which takes punches better – masters professional, cleto reyes or the winning fg2900? I have always been using the Top Ten headgear and must say hands down it is the best you can buy. The velcro straps in the back and under the chin make it easy to adjust size. Another thing I love about it is the inner structure with channels making the sweat away from the face and drain down to the side of the head. The guy who invent this headgear was a genius. The oldest TopTen headgear I have is from 1987. While I don’t use that old piece anymore it still works fine and the padding never gave up working. I have had 2 new ones since then.